Entry to the Écomusée will be free for the duration of the exhibition thanks to the contribution of the Fonds de solidarité FTQ. Discover an economic and social innovation unique to Quebec and help commemorate its remarkable history! The Fonds de solidarité FTQ has been calling for the solidarity of workers for the last 35 years. Its mandate: to create and maintain jobs, democratize savings, and develop Quebec’s economy. The exhibition retraces its history and shows the impact of the Fonds in the community over time. 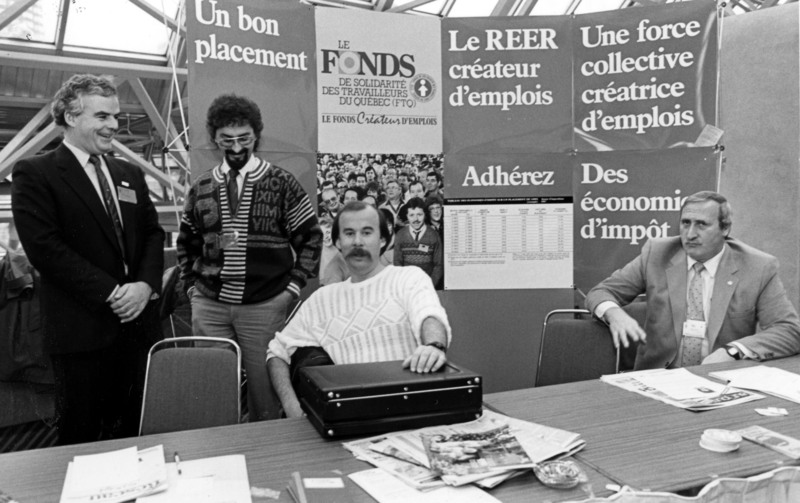 In the early 1980s, Quebec faces its greatest economic crisis since the crash of the 1930s: factories close one after another as unemployment reaches hundreds of thousands. Louis Laberge, president of the FTQ, proposes the creation of a permanent fund for employment support. Despite skepticism in the media, the business community, and the debates that it incited within the labour movement, the Fonds FTQ can finally start its activities on February 3, 1984. The exhibition demonstrates how the Fonds de solidarité FTQ became an important economic and social tool in Quebec, and how its founders instilled strong values into this collective movement. Through numerous documents, photographs and videos, discover how this vision is now being expressed through thousands of stories shaped by the current and future builders of Quebec. See firsthand accounts from the principle actors of this extraordinary history, such as Louis Laberge and Fernand Daoust, who recount how the Fonds has fundamentally changed Quebec’s economy over the last 35 years.